There is this weird thing where I really love ice cream in the middle of winter. The more freezing it is outside the better. 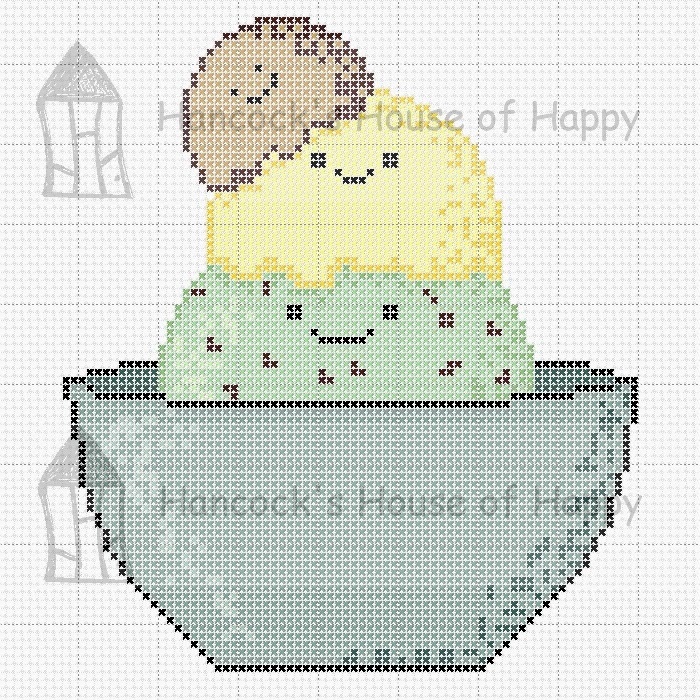 Which inspired this kawaii cross stitch chart. It has my favourite flavours: mint chocolate chip, lemon, and coffee! This would make a sweet treat for just about any one. You can change the colours to your favourite flavours. The chart was too large to post on the blog so it is posted for FREE download at the Craftsy store. Click on the picture for the link.